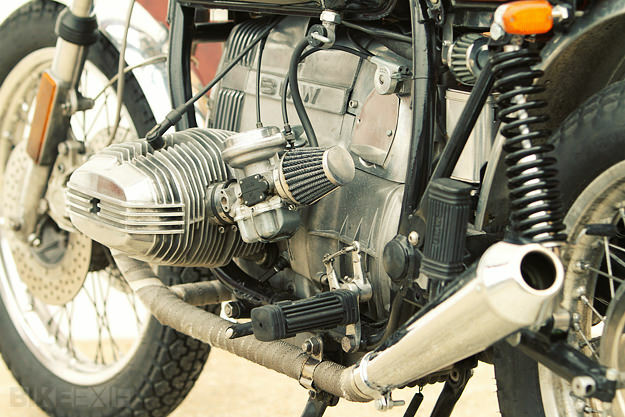 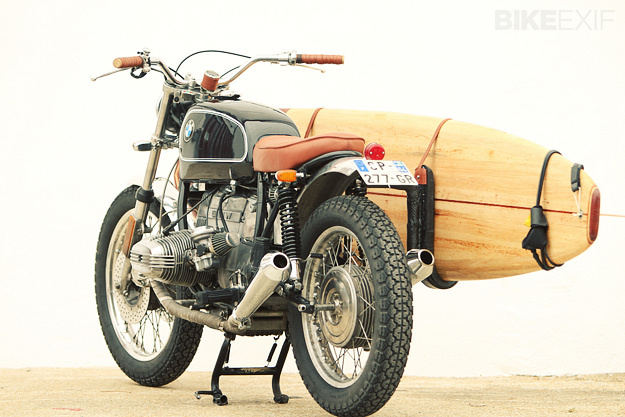 A bike has to be pretty special to stand out at the annual Wheels & Waves festival in Biarritz: it’s the motorcycling equivalent of a beach full of French supermodels. 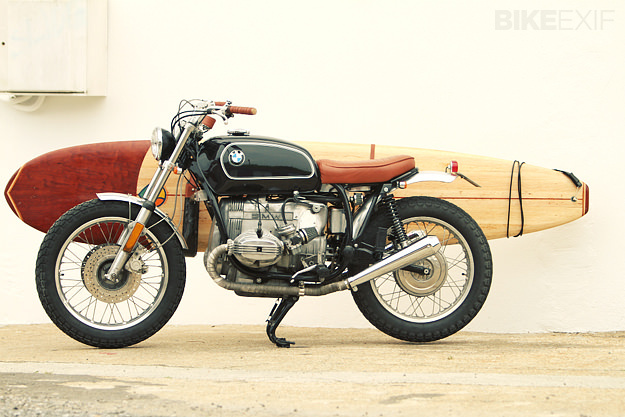 But this lovely 1979 BMW R65 with a surfboard rack stopped passers-by in their tracks with its understated elegance. 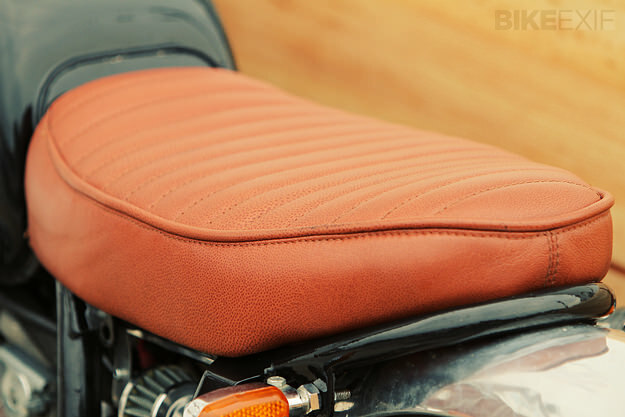 Everything has been slimmed down, from the headlight to the tank to the beautifully finished seat, which Xabi describes as une place et demi—a seat and a half, “for the best proportions.” The renowned tannery Rémy Carriat, which supplies Louis Vuitton and Hermès, provided the leather for Xabi to make the seat. 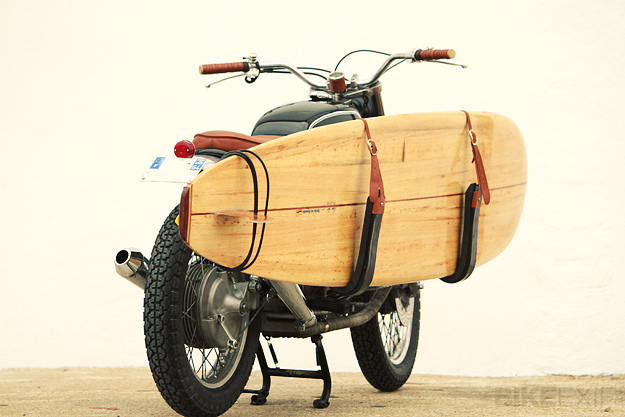 If you’re a laidback kind of guy who likes to ride the waves as well as the roads, what could be better? 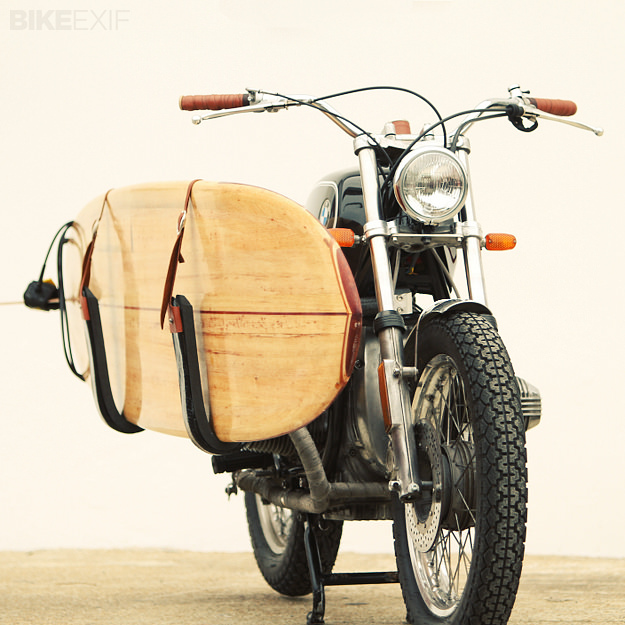 Head over to Xabi Ithurralde’s Atelier 11 website for more images.